Live in comfort in one of the quaintest neighborhoods in Queens. This two bedroom, one bathroom apartment includes hardwood floors, a large master bedroom and a cozy second bedroom that can also be used as an office. There are plenty of parks, recreational spaces for friends and families, and it is steps away from Glen Oaks shopping center for convenience with plenty of restaurants. It doesnt stop there, this apartment is not even one block to the Q46 bus, as well as, a short 7 miles to the F train and the Long Island Railroad. 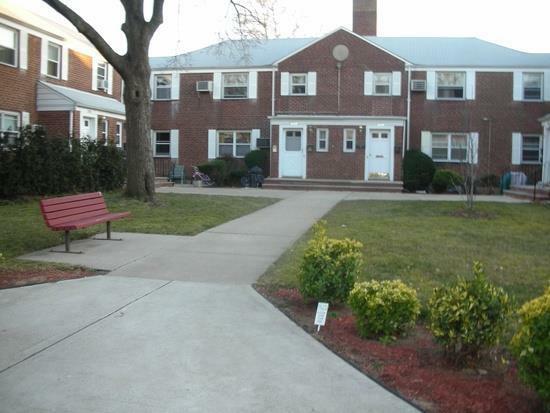 Pet friendly, gas/ hot water included, washer dryer hook ups, laundry on the grounds, no flip tax and the board allows unit owner to rent right away making this a good investment property as well. Enjoy the perks of community living, low fees, and lots of outdoor space. Call Peter 631.327.5339 or Peterson 347.299.2077 for a showing.